This simple mod adds quest markers to all 24 of the Stones of Barenziah (Unusual Gems) that you need to find/collect for the "No Stone Unturned" quest. The markers are only added after you take an "Unusual Gem" to Vex, and she gives you the objective to find all 24 of them. AN ALTERNATIVE VERSION OF THIS MOD IS NOW AVAILABLE! I hate "find/collect" quests. Boy do I hate find and collect quests. I am an obsessive completionist, so I have to do them. But boy do I hate them. 1. There is usually no real hint on how to find the items. You just have to look EVERYWHERE. At least in Oblivion the Nirnroot quest only told you to find some of them, and to look near water. THIS collect quest is horrible. Horrible! Especially in a world the size of Skyrim. Seriously, who would actually be able to find ALL of them without looking them up? If you did, I salute you. I mean, most of them are in major quest locations, but a couple are in completely ordinary dungeons. You'd be lucky if Radiant Story sent you to one of them. Otherwise, what are you supposed to do, besides reach for the walkthrough? Okay, that's enough ranting. 2. I always *try* to do them on my own, and only look them up when I'm nearly finished and there are a couple I just can't find. Then I have a list of locations, and I can never remember which of them I've already collected, and which I haven't. I HATE that part. So anyway, adding quest markers solves both of the above problems. This turns the quest from a find-and-collect to a simple collect quest. Enjoy. Update 1.3: Hopefully fixed the glitch. 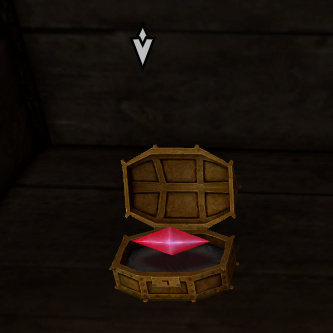 To compensate for the problems with the Dark Brotherhood stone's quest marker, the objective to get the stones will now remind you to check the Dark Brotherhood if you are missing one. A Japanese translation thanks to hydragoon is currently available in the downloads. A Russian translation thanks to TERAB1T is currently available in the downloads. A Chinese (simplified) translation thanks to 877812210 is currently available in the downloads. A Chinese (traditional) translation thanks to chiousf is currently available in the downloads. A Spanish translation thanks to elfaceitoso is currently available in the downloads. A German translation thanks to johnwayne1930 is currently available in the downloads.